I want to talk about Instagram vs. reality. 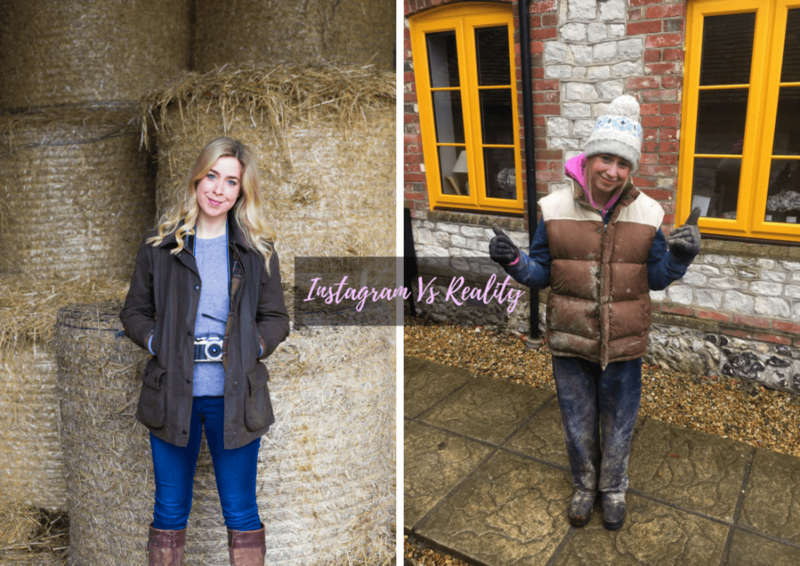 I like to think that my Instagram/blog depicts the realities of farming life, that is…to a certain extent. What I mean is, when I’m having a really down day, for one reason or another, I probably won’t post about it. This is because I like to think of my blog/social media as a positive place, and I don’t want to overshare my problems/be seen to be moaning. 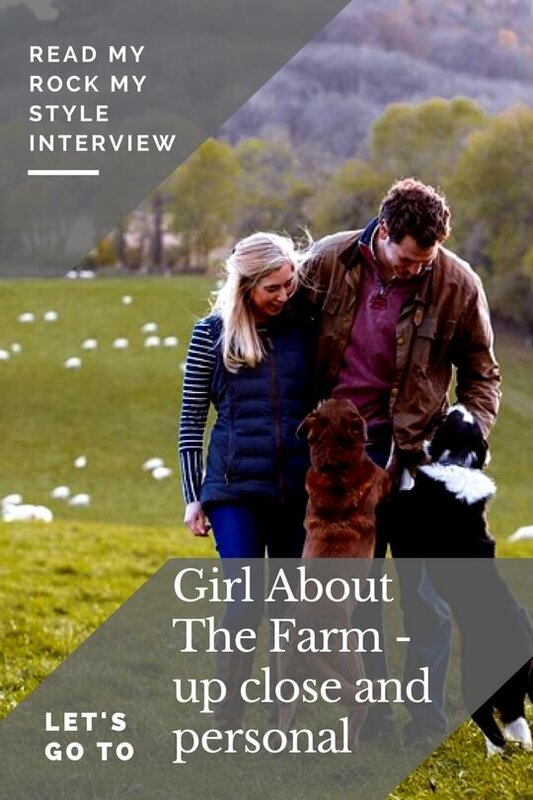 I would say that I use my ‘stories’/blog posts to document more of the realities of farming, whereas my Instagram grid is reserved for ‘nice’ snapshots of the farm. I like it this way – I mean, no one wants to see photos/videos of me screaming at lambs as I’m scrambling around trying to run them into the sheep handling yards. Or maybe they do…but it’s not something I necessarily want them to see! Andy often teases me and says ‘well, this isn’t going on Instagram is it!’ – normally when I’m chowing down on a Dominos pizza covered in mud, make up free! The thing is, its easy to forget when you post a photo, or a ‘story’ that its going out into the public domain. We recently went away for a weeks holiday – skiing. It was so nice to have a break and I didn’t really post anything whilst we were away – not consciously, I just didn’t really feel like it. I was overwhelmed with messages from people checking I was okay, as they had seen I had gone AWOL. When I received these messages, I was sort of mixed in my feelings about it. Obviously its lovely to be missed, but then I was questioning whether I was putting too much of my life out to the world – and maybe I should be more selective and post less? I don’t have the answer to this question. 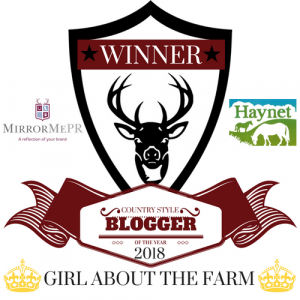 All I know is that, my blog and Instagram have brought me nothing but positivity since I gave up my career in Marketing and embarked on my journey into becoming a full time farmer and I’m really grateful for that fact. I enjoy blogging, and keeping my Insta up to date – and I love the community that I have built up on there. I think the one thing I have realised over the past year (the blog has just had its first Birthday) is that Instagram is very much the ‘good bits’ of everyone’s life (BTW I sort of know that everyone knows this already – so sorry for just stating the obvious! ), I just think its good to remind ourselves this every so often, so that we don’t have this perception that everyone else’s life is this perfect pristine square. 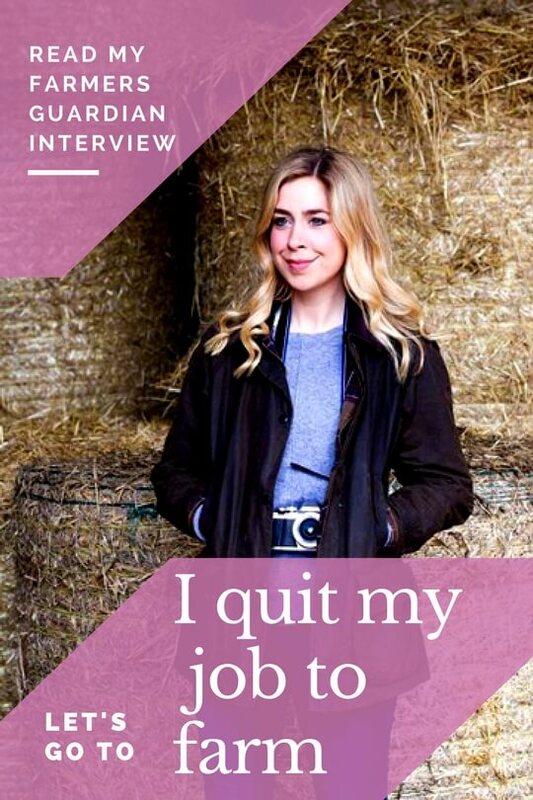 So next time you see a photo of me in full make up – gazing to the side wistfully in the middle of a field (casually)…please remember the other 99% of the time where I’m wearing 4 coats, a hat I got free from a vet, with no make up on (no, actually worse…make up that’s a couple of days old…you know when mascara clumps and goes stale…yeh, that). Great blog Laura, this post made me laugh, it’s so true. 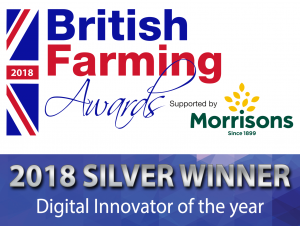 my dads the farmer in this family and before was my grandad, when i see the instagram posts of some people i wonder what farm they were working on, i cant remember seeing my dad without him being covered in dust and muck lol.